As the 2018/19 New Zealand cherry season draws to a close, one of the country’s leading exporters has reflected on a “short and difficult” campaign. New Zealand Cherry Corp said variable weather conditions proved challenging for many growers in the key Central Otago production hub. “Normally we measure our season from December to early February. This year it should really only be measured from mid-January to the end of January,” the company said in a release. 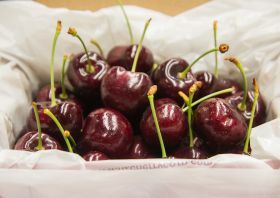 According to data released by Summerfruit New Zealand, 2,450 tonnes of cherries have been exported from the country over the 2018/19 season, reflecting a decline of approximately 35 per cent year-on-year. This figure may increase marginally over the coming weeks, as the final sales of the season trickle in. Taiwan remains the sector’s largest market by volume, taking 983 tonnes, down from 1,386 tonnes at the same time in 2017/18. Shipments to mainland China came in at 728 tonnes, down from 1,366 tonnes in 2017/18, while Vietnam took 211 tonnes, down from 349 tonnes. 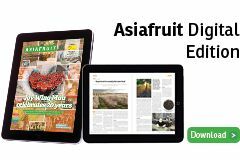 There were noticeable dips in volumes shipped to Thailand (185 tonnes, down from 511 tonnes) and the US (59 tonnes, down from 161 tonnes), with New Zealand Cherry Corp attributing this to the average size profile of the crop.